There's loads of fun stuff inside, including profiles and features on your favourite players, games, nutrition, court activities and more! All prices include postage and handling. Please allow 5–10 days for delivery. 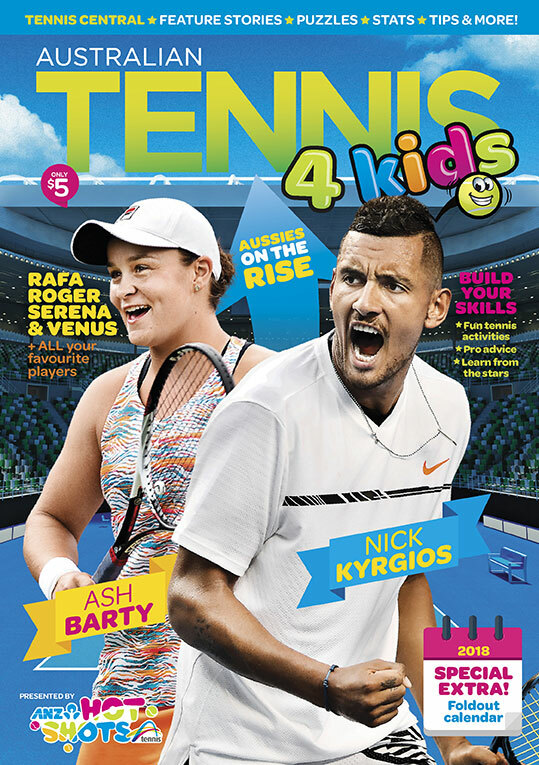 Australian Tennis Magazine is published bi-monthly by Tennis Australia Ltd.